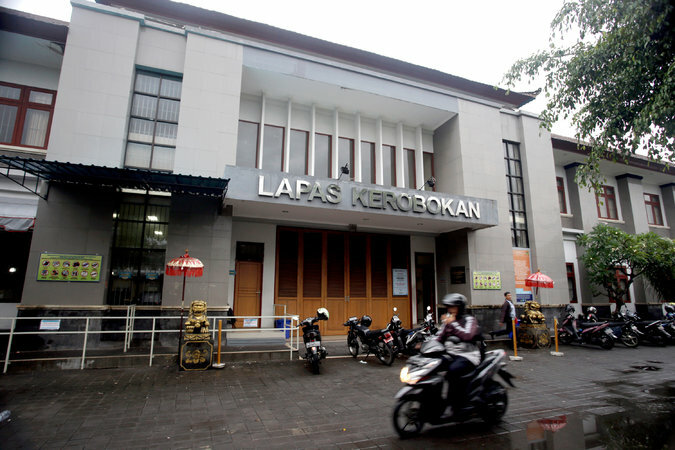 In June four prisoners escaped from Kerobokan Prison after they tunneled under its outer wall. While two of the escapees were caught in East Timor a week later, Shaun Edward Davidson of Australia and Tee Kok King of Malaysia remain at large. Mr. Beasley, a native of California, is believed to have sawed through the bars of his prison cell at about 4 a.m. on Dec. 11. He then clambered over the prison wall and lowered himself to the ground using a rope, officials say. Mr. Beasley paid a local fisherman for the use of a boat to cross the channel separating the two islands, they said. Kerobokan Prison, in Bali, Indonesia, was built to house little more than 320 inmates, but now has more than 1,400. A second American, Paul Anthony Hoffman, 57, was reportedly caught trying to escape on the same night. Located in the heart of Bali’s tourist area, Kerobokan Prison houses most of the island’s offenders. But the decrepit facility is badly overstretched. Built for little more than 320 inmates, it now houses more than 1,400. Tight budgets and low salaries exacerbate the prison’s already shaky security. Guards make the equivalent of a few hundred dollars a month. On the night of the break in June, only five guards were reportedly on duty. Indonesia’s continuing drug crackdown is adding to its prison population. About half of the estimated 228,000 inmates in Indonesia’s prisons are being held on drug charges, officials say. In 2009, the government introduced mandatory prison sentences for anyone convicted of using narcotics. Mr. Beasley was arrested in August on suspicion of possessing more than five grams of hashish.